Runners hit Mile 4 during a past Thirsty 13 Half Marathon. The Thirsty 13 Half Marathon, the largest running event in the Durango area, will be held Saturday, and drivers are urged to use caution and be aware of race participants on the road. 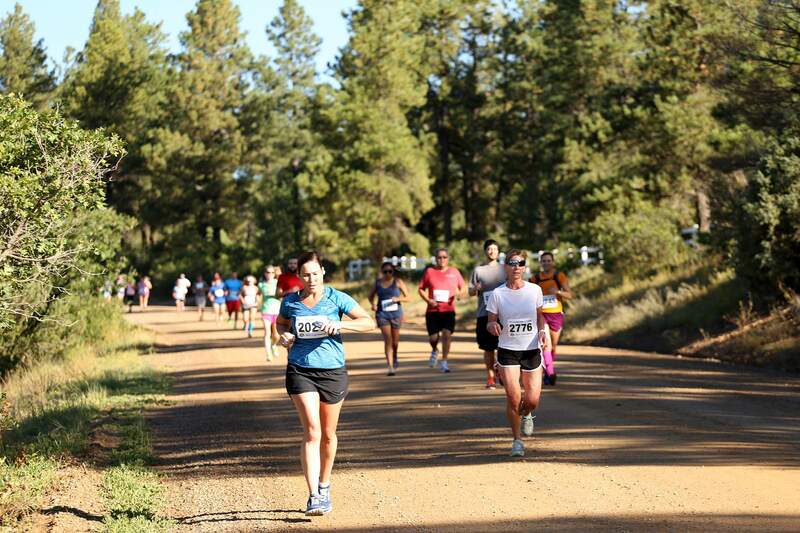 The race, which will have about 700 runners, starts 8 a.m. at Hesperus Baptist Church, 22972 Highway 140. Colorado State Patrol will manage traffic on a section of Highway 140, from the church to the intersection with County Road 125, which will be closed to vehicles for 10 minutes during the race start. From Highway 140, runners continue toward Durango, with no traffic control in place, on county roads 125, 141 and 210; to the frontage road that parallels South Camino del Rio in Bodo Industrial Park; to the finish line at Ska Brewing Co., 225 Girard St.
For more information, visit www.thirsty13durango.com.